Offering quality grip in wet and dry conditions, as well as splash resistance from a range of hazardous chemicals, the Ansell TouchNTuff 92-605 Disposable Powder-Free Nitrile Gloves are ideal for providing hand protection for a wide range of industries. 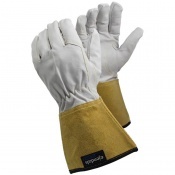 They also feature a textured fingertips for improved grip, and a rolled beaded cuff for improved wearability. 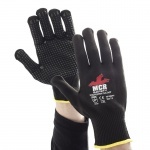 They are available in a range of sizes to ensure the most comfortable fit on either hand. The product code for the box of 100 gloves is: 92-605. For more information about the food compliance of the 92-605 gloves, please consult the Food Declaration of Product Compliance in the PDF below. 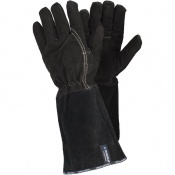 The Ansell TouchNTuff 92-605 Gloves are available in a choice of sizes, making them suitable for most users. Please consult the table below for details, then select the required size from the drop-down menu at the top of the page. 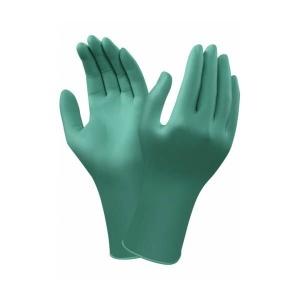 The gloves have a thickness of 0.12mm.